Whether it’s an office building or reception security you are looking for, DMAC Security has the right corporate security officer, professionally trained to provide you with the best corporate security cost-effective rates. This can be tailor made to suit every environment with the assurance of maximum security for your employees, office or building. Due to the nature of the job and the security services industry regulations, all our corporate security officers are carefully chosen based on their level of professionalism, mannerisms, aptitude and skill. No minimum hours restriction. We can provide you corporate security cover from hours, days or nights only depending on your needs. This ranges from maternity cover, being let down by your usual security guard or security company. Our rates are very competitive but still come with the highest level of service expected from our clients. 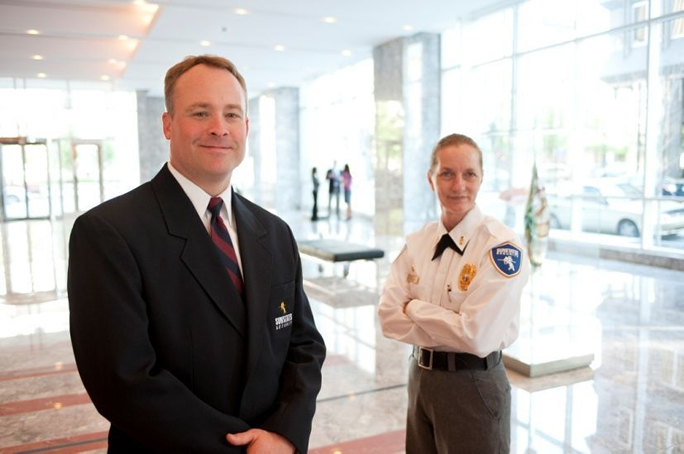 Our corporate security officers are suitably dressed for your office building or reception.